Living a Fit and Full Life: Make this Years Halloween Party the Best with Handouts and Crafts from Oriental Trading! 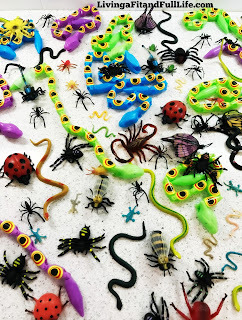 Make this Years Halloween Party the Best with Handouts and Crafts from Oriental Trading! Have you ever shopped Oriental Trading for your Halloween party needs? I honestly haven't, but boy was I blown away with their selection of products to take your next Halloween party to the next level. My family and I just moved into a new neighborhood and happen to be in the cul de sac and if our last neighborhood taught us anything it's that all the best parties happen in the cul de sac. This year I want to be ready so I'm already beginning to plan our Halloween and just have to share my awesome finds from Oriental Trading! 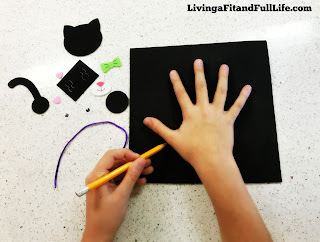 First, there's these totally adorable Black Cat Handprint Craft Kits. 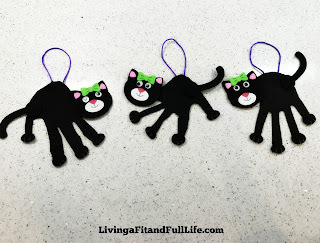 They come in a pack of 12 for $7.99 and all this cute cat needs is your hand print to be complete! The kit includes foam with self-adhesive pieces and plastic wiggle eyes. 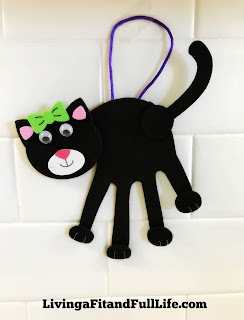 My 9 year old loves arts and crafts and asked to have an arts and craft table at our Halloween party and since she has a black cat and loves cats, I thought this would be something she would totally love. The adorable little kitty is incredibly easy to make. Kids simply trace their hands, cut it out and stick the pieces in place using the adhesive pieces and plastic wiggle eyes. I absolutely love how simple this craft is to complete and that there's virtually no mess to clean up. The finished product is incredibly adorable and I love that it uses their hands because you end up with cats of all different sizes. 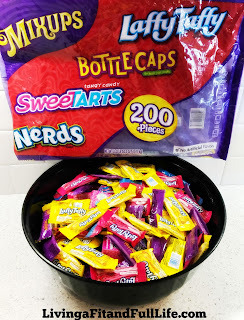 Then, because it wouldn't be a party without Halloween candy I scored this enormous bag of Wonka™ Mix-Ups® Assorted Candy for $16.99 for 200 Piece. What I love most about this bag of candy is that my kids actually like all of the candy included. Normally in a big bag like this you get candy that kids don't really seem to care for. With the Wonka™ Mix-Ups® Assorted Candy you get delicious candy that kids will love and enough for the whole neighborhood! 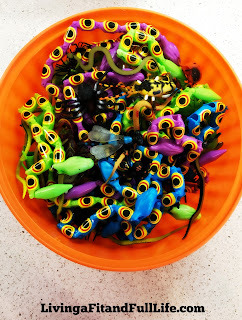 I also decided to get this ginormous bag of Creepy Crawly Insect Toys to hand out to kids with allergies, or little kids who might be too little for candy. They also make great decorations for your candy or buffet table! 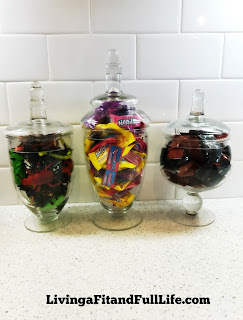 I also got this 3 piece Glass Jar Set for $32.99 to display some of the Wonka™ Mix-Ups® Assorted Candy, Creepy Crawly Insect Toys and Sweet Fall Buttermints and absolutely love how cute the jars are. They come with lids and I can use them for any occasion! 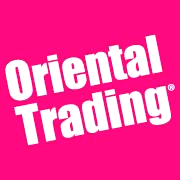 If you're looking to throw and amazing Halloween party be sure to check out Oriental Trading because they literally have just about everything you need to make your Halloween party the best on the block! To check out their amazing Halloween selection click HERE! 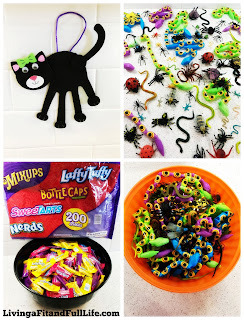 For their awesomely fun crafts and activities click HERE!